Fibre to the cabinet broadband is available in Wellington Heath. There is a fibre connection to the cabinet (cabinet 6 Ledbury Exchange) at the bottom of beggars ash and from there on it is copper wire to your house. 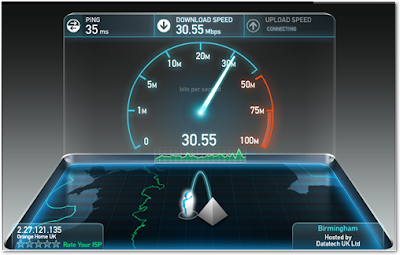 This means that download and upload speeds vary significantly according to how far away from the cabinet you live. Those at the South end of the Village can expect significantly improved speeds if they opt for fibre to the cabinet broadband ( as the picture at the end of this article shows) but those at the top of the Common, for example, are only likely to improve speeds by about 25% at best. A word of caution though some people have found that their upload speed has reduced after switching to FTTC even though the download speed has increased. Speak to your Internet Service Provider (ISP) if this happens or better still check expected upload and download speeds before you switch. Download speed / distance for normal broadband over copper cables under ideal circumstances is as follows. The cabinet is approximately 1.4 km from the exchange and the distance from the cabinet to the south end of the village is about 0.8 to 0.9 km and the the north end of the village it is about 1.9 to 2 km from the cabinet. These are straight line distances so the real length of the cables to your house will be longer. One way of getting faster broadband is to subscribe to a satellite broadband service. This link answers some frequently asked questions about satellite broadband: Satellite broadband information. The main problem is that such services are more expensive than cable based systems and thhere are download limits on contracts. There are several suppliers of satellite services this is a link to one such supplier: Example satellite broadband supplier. Herefordshire Council have contracted Gigaclear to deliver the next phase of broadband upgrades in Herefordshire.